The old adage goes the customer is always right. In the case of the Aston Martin Vantage V600, we think they got it very right indeed. Aston Martin recently released the new Vantage, a lithe, neon green sports car that looks like something out of a sci-fi comic book. Despite the futuristic impression it gives off, the Vantage pays its dues to its roots; that shape is unmistakably Aston. The company has never been afraid of looking to its past for design inspiration – look at any model in the Aston Martin lineup today and you can trace elements of its design and execution back to the DB5 and even the original 2-Litre Sports released under David Brown back in 1948. That car is so influential to the Aston bloodline that his initials grace the company’s grand tourers to this day. For the V600, Aston Martin customers commissioned the return of another historic namebadge for the company, with V600 having adorned a bonkers limited-run twin-supercharged 600bhp Vantage built without ABS – a last hurrah for that incarnation of the Vantage before tightening emissions regulations edged it out of the lineup. 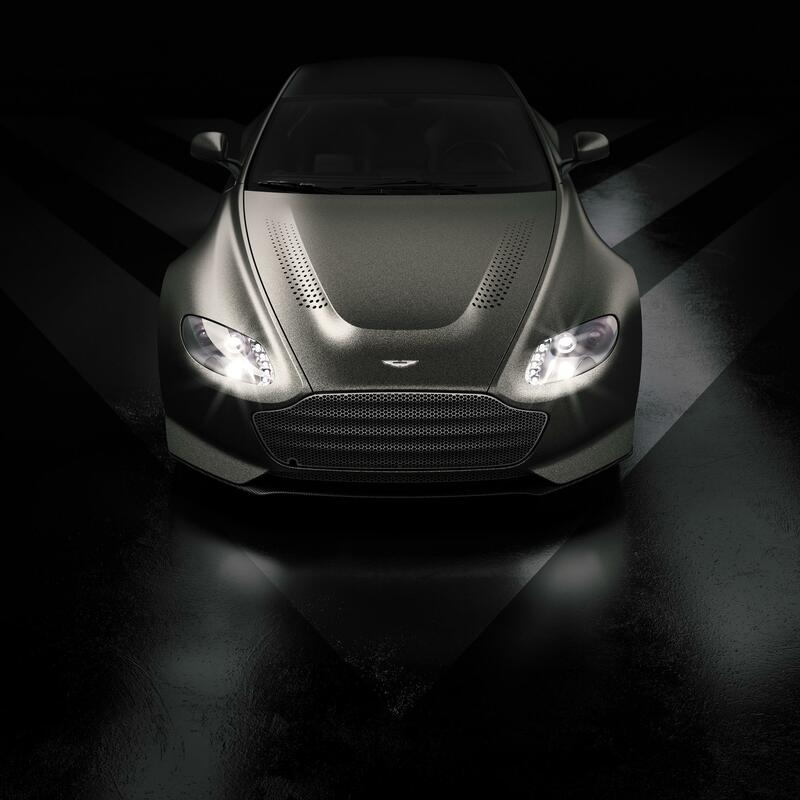 Aston Martin says the spirit of that original car from 20 years ago carries on in this new incarnation. 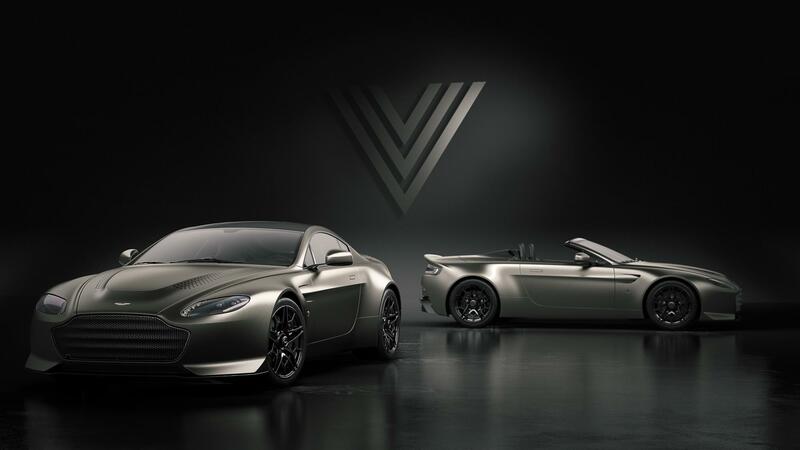 Based on the outgoing ‘VH’ Vantage, the 2018 Aston Martin V12 Vantage V600 features the charismatic 6-litre Aston V12 up front, upgraded to produce 600bhp, much like its namesake. 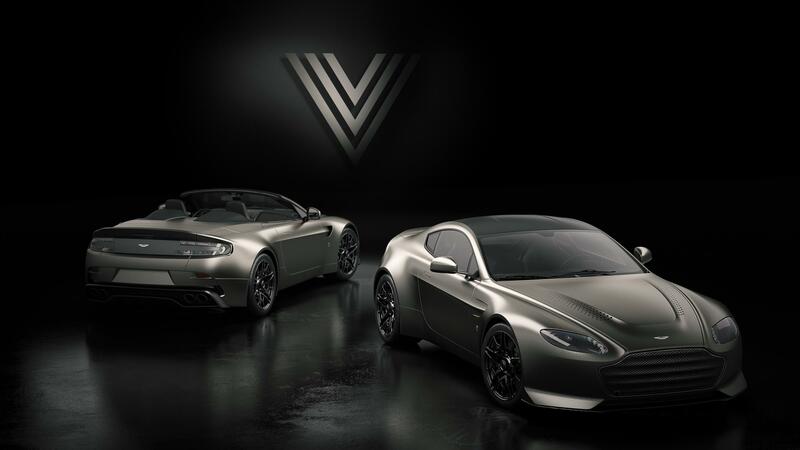 Just fourteen examples of the new V600 will be produced, with Aston promising the ultimate analogue Vantage, which should appeal to nostalgic fans of the brand who seek the on-edge feel of supercars from the brand’s history but without the danger, age-related issues or risk of breakdown that come with it. 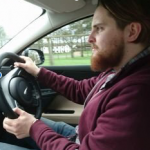 To that end there is no semi-automatic ‘box – the V600 comes with a seven-speed manual transmission, connecting the driver directly with the experience of shoving that 600bhp to the rear wheels. Keeping the V600 on the road is front and read dual independent wishbone suspension with three-stage adaptive damping for a sporty feel when required and a more comfortable ride when not. While the body shape is that of the old model, aggressive styling cues let the in-the-know observer know that this is no ordinary Vantage. That bodywork is fully carbon fibre, with a strake along the side hinting at the menacing potential of the car. A darkened grille adds to the V600’s presence while providing cooling to the V12, while at the rear a quad exhaust juts from a carbon-fibre diffuser. Aston Martin says the V12 Vantage V600 is available on request, with the fourteen models slated for delivery in the autumn. 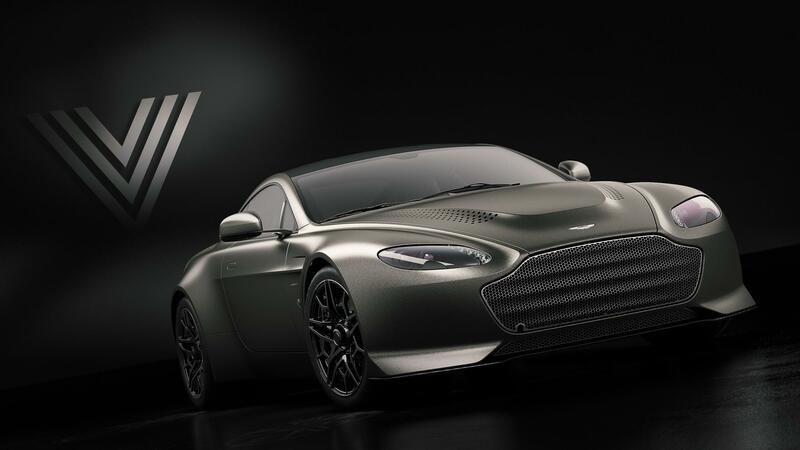 How much do you want to be among the fourteen lucky souls to get behind the wheel of the V12 Vantage V600?